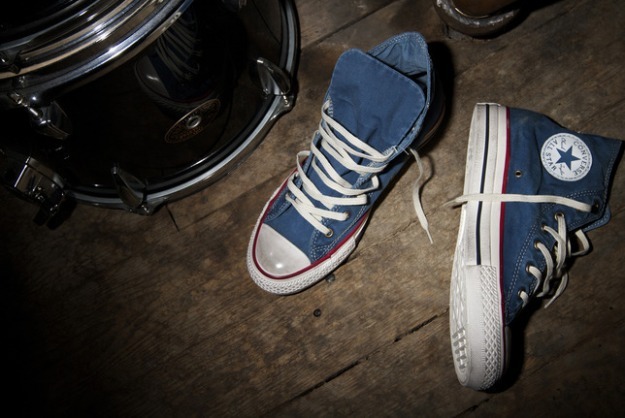 Converse Launches A Line Of Well Worn Sneakers for Hipsters!!! Im definitely not a hipster but these are pretty cool! 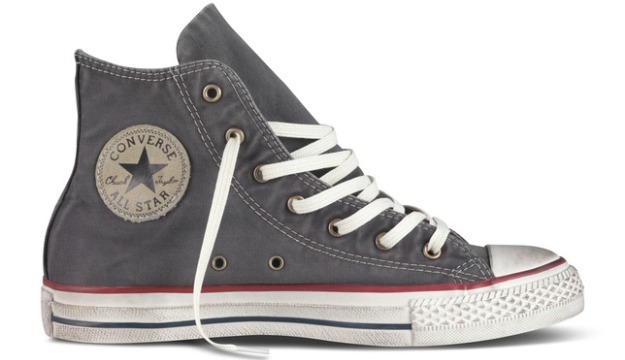 Converse has introduced a new line of sneakers that feature a premium washed canvas that has been extensively treated for a pre-worn, broken-in look. The Well Worn collection is available in high-top and low-top styles in a range of colors, with a suggested retail price of $65-$70. Targeted at those who want a little more street cred than fresh new sneakers provide, they have a distressed effect that boasts character and delivers an easygoing feel.